We spent another day around the camp making improvements and such. Again in the evening we played football and again another draw which came with the usual bumps, cuts and grazes followed by another unrestful night. We also covered the buses tyres with large stones that we borrowed from some road repair work that was being carried out just up the road. This was done first to protect the tyres from direct sunlight and secondly to stop someone nicking then in the night. The weather was sunny and warm as yesterday. Below general are pics of our base camp and one of the palace, school and playing field. Our base camp was about half a mile left of the palace. I suppose there is a wee bit of background information missing as to why we focused on this area. One of our patrons was Brigadier E.A. Glennie D.S.O. 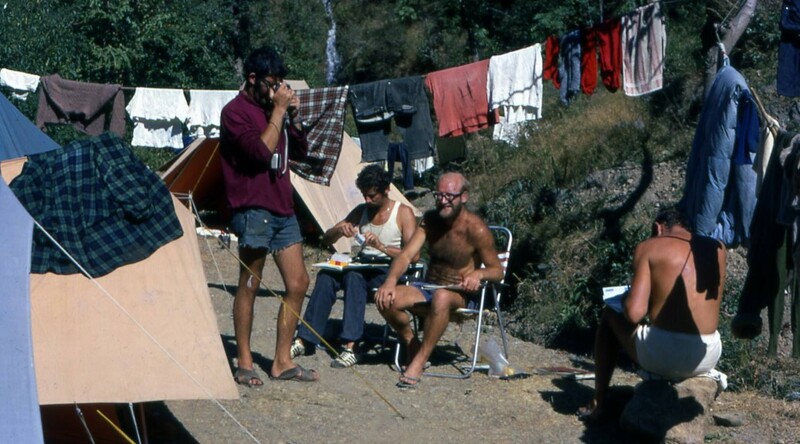 R.E who was involved in the survey of India and also had an interest in cave fauna. 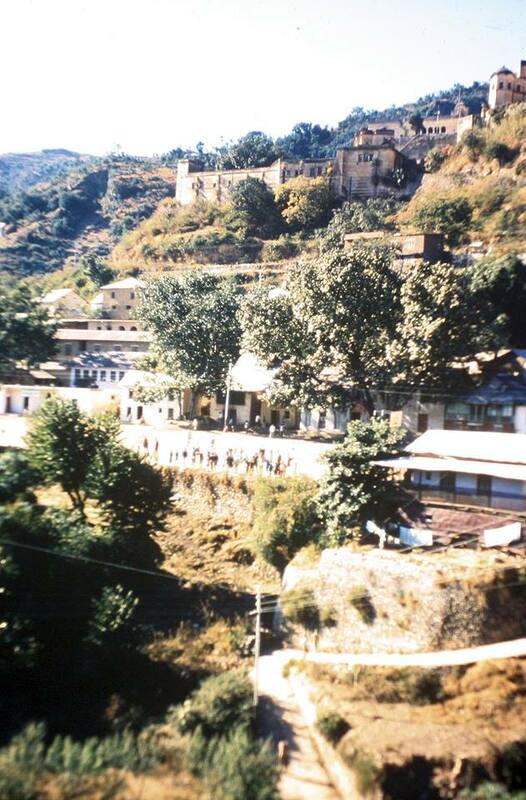 It was he along with Bob Leaky who pointed us in the general direction of Simla as an area containing limestone and caves. 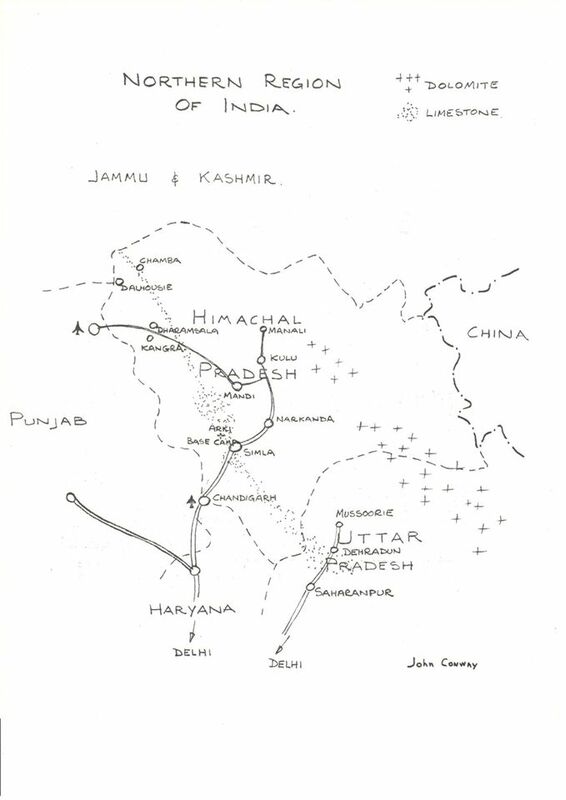 Getting hold of detailed maps was very difficult so we had to remember what we saw or make tracings or quick sketches of the maps we were allowed to see. 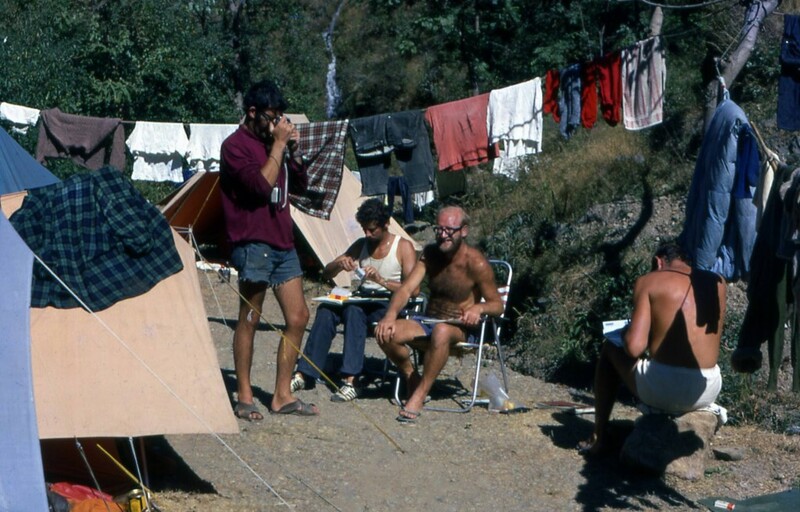 The village of Arki was pointed out to us by the Tourist office in Simla as a good site for our base camp as it was on a local bus route and had other basic facilities such as water, a post office and a local doctor. As it turn out the area was littered with caves full of cave fauna, and we later found out that some of the cave bugs we collected were new. Unfortunately the caves were not as long or as deep as we would have liked but the general exploration was brilliant and we even went into areas with no road access where the locals had never seen a European. It was a million miles away from the local fauna of Accrington.